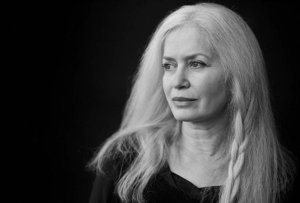 Mon, April 1, 2019 7:30 P.M.
“Among the strongest voices in American fiction” (Los Angeles Times), writer’s writer Amy Hempel is the author of the acclaimed short story collections Reasons to Live, At the Gates of the Animal Kingdom, Tumble Home, and The Dog of the Marriage. Her articles, essays, and short stories have appeared in Harper’s, Vanity Fair, and The Harvard Review, among many other places, and she is among the most widely anthologized writers of her generation. The recipient of a Guggenheim fellowship and the PEN/Malamud Award for Short Fiction, she teaches in the Graduate Writing Program at Bennington College and Stony Brook Southampton. In Sing to It, Hempel employs her singular style of prose to reveal characters in search of connection, compassion, and reckoning.